The Israeli government on Sunday approved a proposal to allow the immigration of thousands of Ethiopians claiming Jewish descent, two years after saying that none remained there. “Today we’ve made an important decision, to bring here the last descendants of the communities with an affinity to Israel,” Prime Minister Benjamin Netanyahu said in a statement. 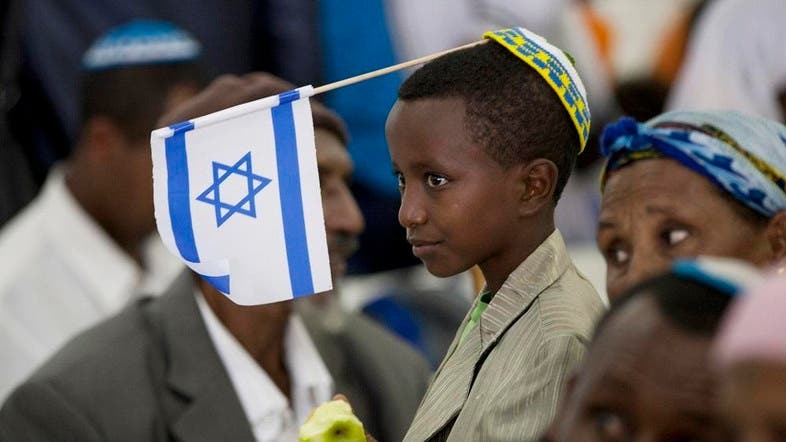 Israel brought the bulk of Ethiopia’s Jewish community to the country between 1984 and 1991 under the Law of Return guaranteeing citizenship to all Jews. Sunday’s decision refers to the group known as Falash Mura, descendants of Ethiopian Jews who converted to Christianity, many under duress, in the 18th and 19th centuries. They are not considered Jewish and are therefore not eligible for citizenship, but many have relatives among Ethiopian Jews already living in Israel. An interior ministry statement said the “last members of the community” would be allowed in over a period of five years, and would undergo conversion under the auspices of the ultra-Orthodox chief rabbinate. A ministry spokeswoman told AFP there were approximately 9,100 such people awaiting permission to come, most in camps in the Ethiopian cities of Addis Ababa and Gondar. One is Kase Tesfa, 30, who lives with her husband and children near Gondar. Her mother and seven siblings were allowed into Israel in 2004, with officials saying at the time she would be brought “a few weeks” later since as an “adult” over 18 her status was different, her brother Argawi Tesfa told AFP. For years, he has been trying to sway the government to allow the immigration of relatives, and his efforts took greater urgency in 2013 when Israel announced it had completed bringing in Ethiopians of Jewish descent. Such efforts, alongside those in parliament by Avraham Neguise, a lawmaker of Ethiopian origin from Netanyahu’s ruling Likud party, helped sway Interior Minister Silvan Shalom. He reversed official policy and presented Sunday’s decision, Tesfa said, giving new hope to families like his. “I’m very optimistic now,” he said. Israel has some 135,500 Jewish Israelis of Ethiopian descent, more than 92,000 of whom had been brought to the country, according to the Jewish Agency. “Our professionals have developed a comprehensive plan to bring the remainder of the families currently awaiting immigration to Israel,” Jewish Agency spokesman Avi Mayer said on Sunday. Problems faced by Ethiopian Jews in Israel include alleged police brutality and racism, and thousands took to the streets this year to express their anger. Netanyahu has pledged to tackle the problem. Many Ethiopian-Israeli families live in the poorest quarters of major cities, with more than a third below the poverty line and many in menial jobs.